Over 12 major beaches and 35 miles of white, powdery sand. Blue gulf waters lap gently upon this State Preserve's 4-mile-long beach. A picturesque 1887 federal lighthouse stands sentinel on the southern end of the island while ospreys nest in the tall pines found throughout the island. Located three miles off Tarpon Springs on the northern end of the Pinellas Peninsula, Anclote Key is accessible only by boat. Six distinct biological communities provide habitat for dozens of species of bird life including the rare bald eagle and piping plover. 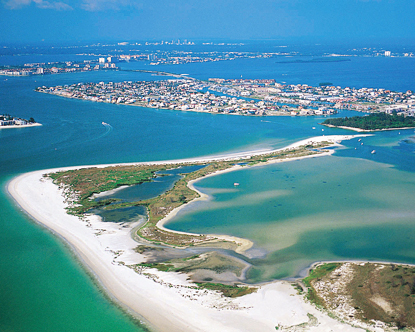 Anclote Key is an excellent swimming and nature study site. However, guests must plan ahead by bringing all water and supplies, and then carrying all litter out.. More information is available from the State Preserve at 727-469-5918. The city features several public beach access points along Gulf Boulevard. The largest site is at Morgan Street across from the Belleair Beach Yacht Club. Public parking is available for the Yacht Club and City Hall. Belleair Beach is located south of Clearwater and north of Indian Rocks Beach. The Belleair Causeway connects Belleair Beach to the St. Petersburg/Clearwater area mainland. For more details, call 727-595-4646. 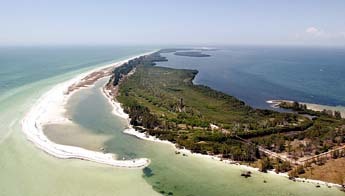 One of the few remaining large undeveloped barrier islands on Florida's Gulf Coast, Caladesi is only accessible by boat. The island is ideal for swimming, shelling, fishing, picnics, skin and scuba diving and nature study. The park also has a three-mile nature trail winding through the island's interior. The park is open daily from 8a.m. to sunset. A ferry departs hourly from nearby Honeymoon Island. Docks are available on the island for private boats. A snack bar and shelters are also available. Contact the State Park at 727-469- 5918. This island is the most popular of all the area's many beaches, especially with families. 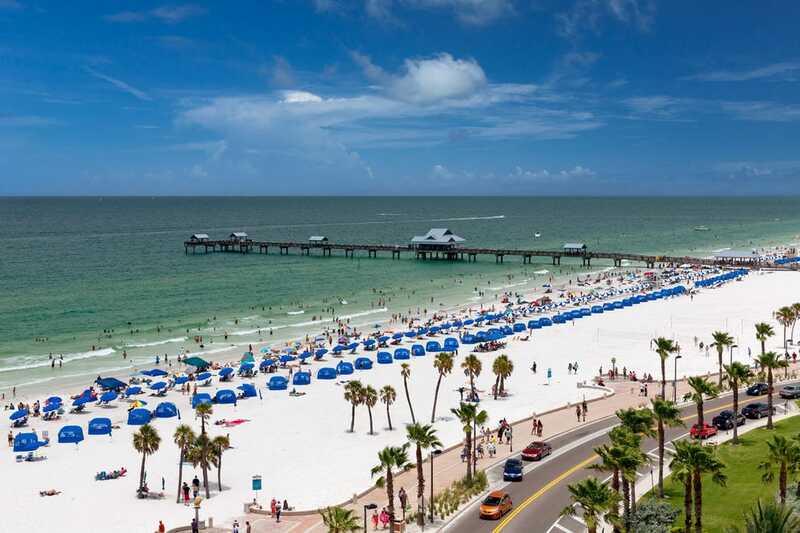 Clearwater Beach offers just about every water and beach activity imaginable. Pier 60 Park on Clearwater Beach features a family recreation complex on Clearwater's expansive beach with covered playgrounds, fishing and concessions. The Sunsets at Pier 60 festival features music, entertainment and a beautiful Gulf of Mexico sunset throughout the year. City offices can be reached at 727-462-6572. This 440-acre island at the southernmost tip of the St. Petersburg/Clearwater area is the home of the last government- manned lighthouse (built in 1858) in the United States. Now a wildlife refuge, Egmont Key was a camp for captured Seminole Indians during the Third Seminole war and was a Union Navy base during the Civil War. Several boats offer snorkeling excursions to this island which is accessible only by boat. Visitors can snorkel over grass beds and ruins of two gun batteries from the fort, or enjoy the unspoiled beach. Call the park for more info at 727-893-2627. The park consists of 900 unspoiled acres, seven miles of beaches, two fishing piers, and picnic and camping areas directly on the Gulf of Mexico. A concession stand, bathrooms and covered picnic shelters are available. A fort built during the Spanish- American War is located on Mullet Key, the largest of the five islands which make up this unique area which lies southwest of St. Petersburg. The area has a popular biking and skating trail as well as rental facilities for canoes, kayaks and bicycles. Toll on bridges to the park is 85 cents. 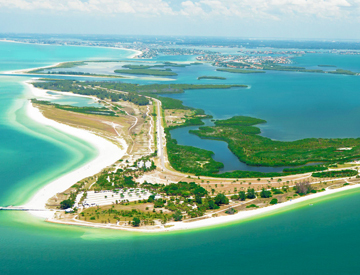 Fort De Soto rated as the seventh best beach in the United States in a 1999 national study. 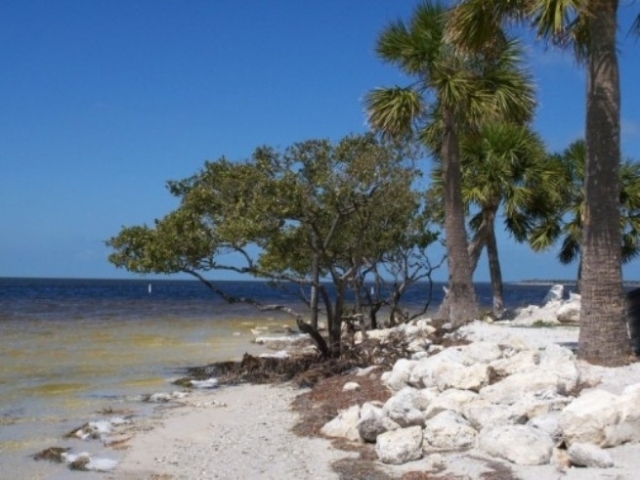 This 150-acre county park located west of Florida Avenue in Tarpon Springs features a mile-long causeway connecting the offshore swimming area and the mainland. The park is open 7 a.m. to sunset offering barbecue grills, sheltered pavilions, children's playgrounds, public restrooms and beach showers. The area is popular for windsurfing and fishing. Located at Shore Blvd South and 55th Streets, you can purchase a daily parking permit for $2. Outdoor showers and public restrooms are available. Gulfport City offices: 727-321-1158. 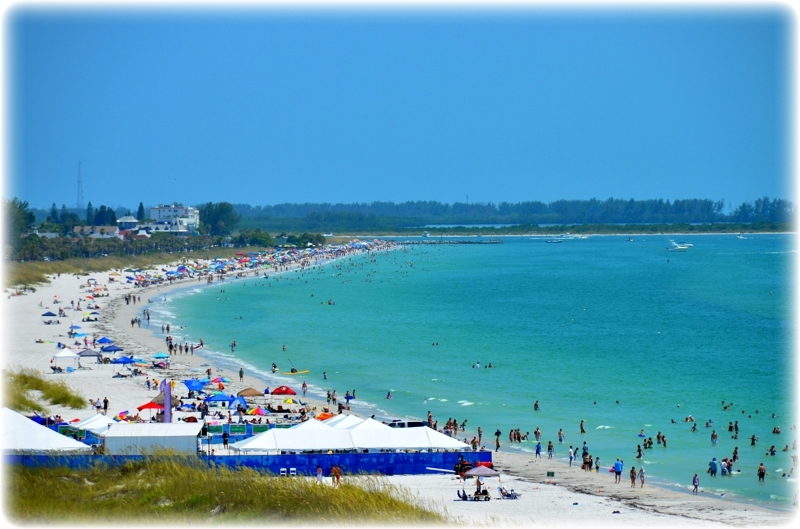 This state park features sunbathing, shelling, swimming, fishing, picnic pavilions, bathhouses and a park concession building. The Caladesi Island ferry departs from Honeymoon Island. 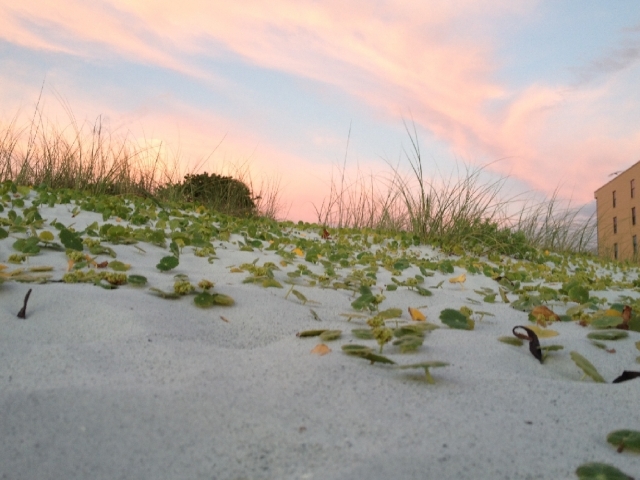 Like Caladesi Island, Honeymoon Island is one of the state's few undisturbed barrier islands. The Island also features two bird observation areas, a pet beach, two nature trails and one of the few remaining south Florida virgin slash pine stands. These large trees serve as important nesting sites for osprey. 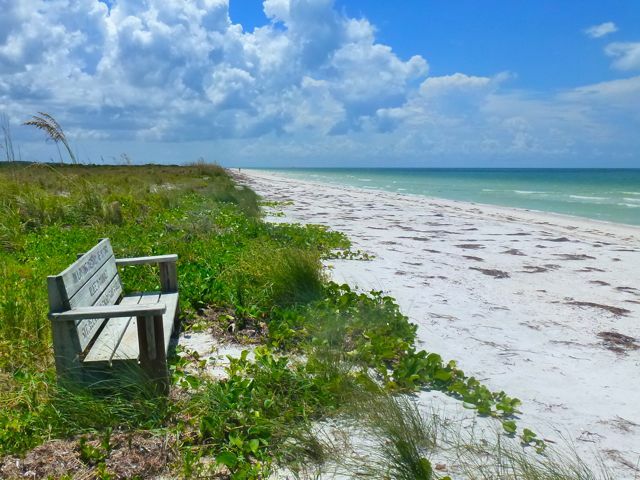 Honeymoon Island has more than 208 species of plants and a variety of shore birds, including several threatened and endangered species. The Island has a long history considering it is only 7,000 years old. Originally settled by members of the Tocobaga tribe of Native Americans, a wave of explorers, pirates, traders and fisherman came and went. Originally named Sand Island, a successful hog farm changed the island's moniker to Hog Island in the 1880s. A hurricane in 1921 separated what is now Caladesi Island. In the 1940s, 50 palm-thatched bungalows were built for honeymooning couples but were eventually used as R&R sites for wartime factory workers. Call the park for more info at 727-469-5942. 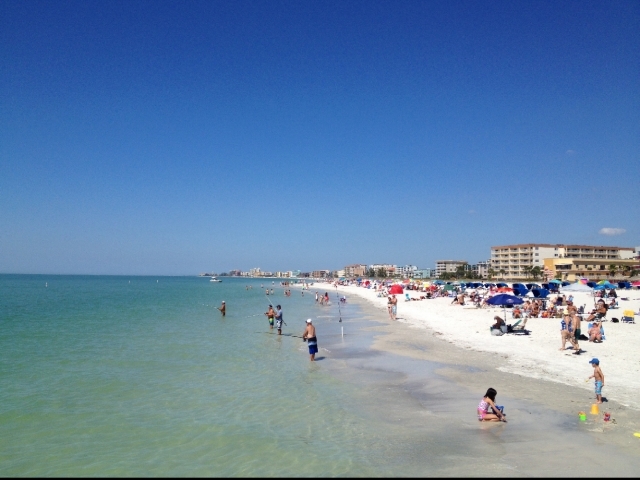 This area features more than 20 beach accesses located along Gulf Boulevard with free parking. 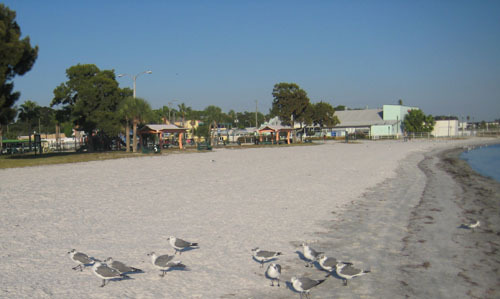 Indian Rocks Beach access park, located at 1700 Gulf Boulevard, features 80 time metered parking spaces for vehicles, a restroom and outdoor showers. The Walsingham Road Causeway connects Indian Rocks Beach to the St. Petersburg/Clearwater area mainland. For more information 727- 595-4020. Tiki Gardens beach access park at 19601 Gulf Boulevard is the most popular beach access point in Indian Shores. Tiki Gardens features 170 time metered parking spaces, restroom facilities, benches, a water fountain, beach showers and a pedestrian crossing light at Gulf Boulevard. Several other access points are also available. The Park Boulevard Causeway connects Indian Shores to the St. Petersburg/Clearwater area mainland. Several beach accesses are available in Madeira Beach including the County Park at 14400 Gulf Boulevard. 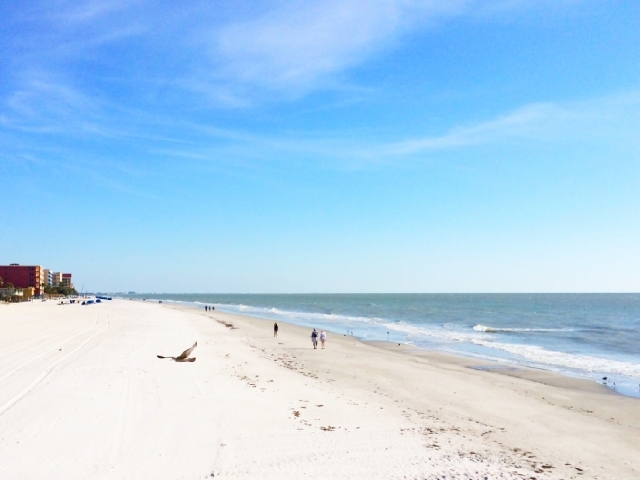 This 1.5-acre site features 450 feet of beach on the Gulf of Mexico with time metered parking for 104 vehicles, a restroom, and two showers located on the beach. 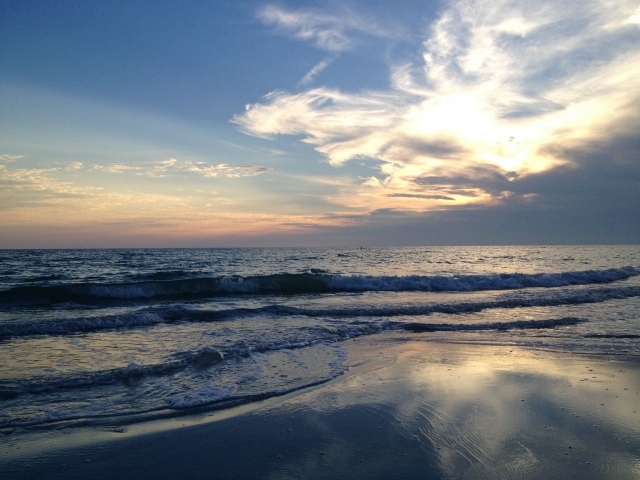 Madeira Beach is also home to "fish famous" John's Pass. The John's Pass Village & Boardwalk offers commercial and charter fishing as well as casino and sightseeing cruises. Fishing is popular from several public piers. 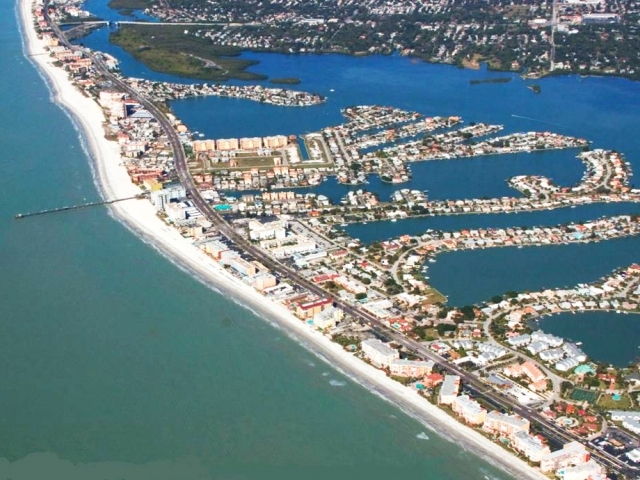 The Tom Stuart Causeway connects Madeira Beach to the St. Petersburg/Clearwater area mainland. More information is available from Madeira Beach Parks and Rec, at 727-392-0665. This city between Redington Beach and Redington Shores features beach access points at 170 - 173rd streets. More info by calling 727-321-1158. The first established town on Florida's West coast barrier islands and is a registered National Historic District. The area on the southern tip of St. Pete Beach has no condominiums or "high-rise" buildings keeping it a unique slice of old Florida. Sunset watches are popular at the area's public-access beach. The beach runs from 1st to 22nd Avenue along Gulf Way. Metered parking is available. 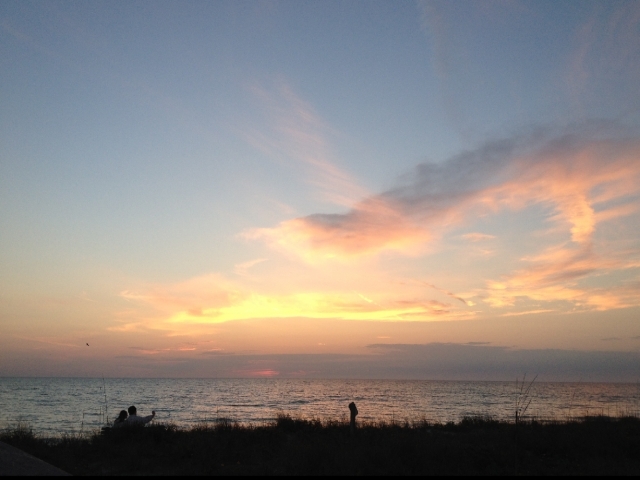 This small community north of Madeira Beach features only one beach access at 163rd Avenue East. The access does not have public parking spaces. This community south of Indian Shores features several beach accesses including the Beach Access Park at 18200 Gulf Boulevard. This 3.5-acre gulf site offers 170 time metered parking spaces, restroom facilities, beach showers, and a 400-foot-wide beach. 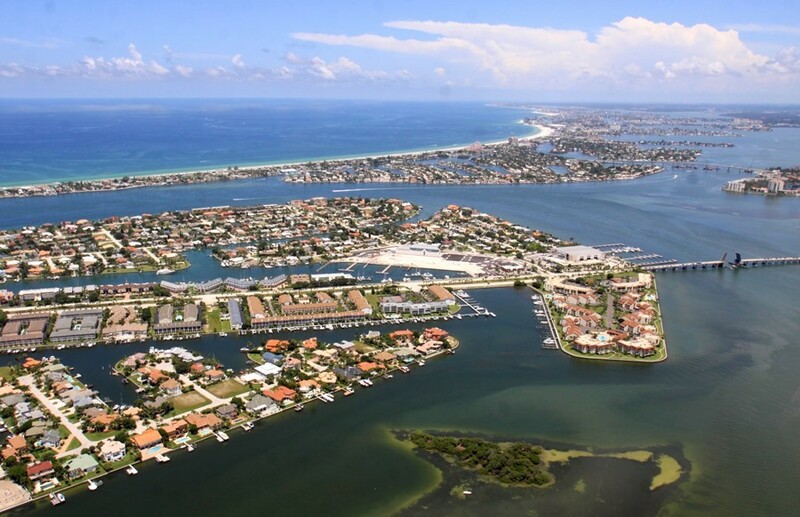 Just south of Indian Shores, Redington Shores is accessible from the St. Petersburg/Clearwater area mainland by the Park Boulevard Causeway and Gulf Boulevard. The area also has a popular fishing pier - 727-397-5538. 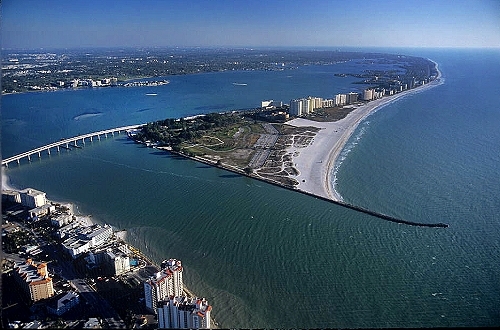 A barrier island near the southern tip of the St. Petersburg/Clearwater area accessible from Interstate 275 by taking the Pinellas Bayway. 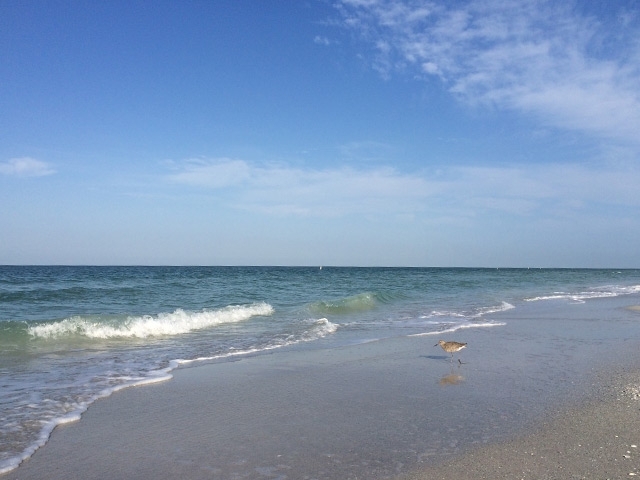 Access to the beach is available at Upham Beach Park on Gulf Boulevard from 67th to 70th Avenue and Pinellas County Beach Access Park on Gulf Boulevard at 44th Avenue. Both have metered parking. Visitors who plan an extended stay can purchase a city parking pass for $15. Several area resorts and shops offer a wide assortment of water sports including waverunners, scuba diving, fishing, parasailing and more. Info available at 727-360-3278. This 90-acre county park features a half mile of white-sand beach that has been rated among the top 20 beaches in the United States. The park offers two bathhouses, picnic shelters, nearly 900 metered parking spaces and lifeguard stations. The park is open every day from 7 a.m. to sunset. Lifeguards are on duty from 9:30 a.m. to 4:30 p.m. 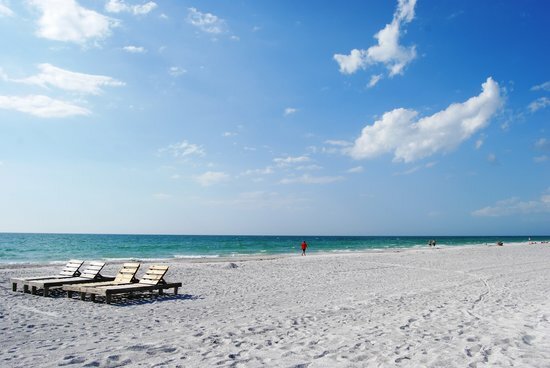 Visitors can reach Sand Key by driving south from Clearwater Beach over the Clearwater Pass Bridge or by taking the Belleair Causeway and then going north on Gulf Boulevard. This undeveloped barrier island is known for excellent shelling, sunbathing and bird watching opportunities. Numerous boats from St. Pete Beach and John's Pass offer sightseeing packages that take guests to Shell Key for sunbathing and dolphin watching near the island. It has also been named as one of the five most important sites in Florida for nesting and migrating endangered shore and sea birds. This is a bayside beach located in Downtown St. Petersburg on 2nd Ave. NE. Free parking and public restrooms are available adjacent at North Shore Park, which also has a beach. Info available at 727-367-2735. Where Gulf Boulevard turns toward St. Pete Beach at the southern tip of Treasure Island, a small road called West Gulf Boulevard continues on to Sunset Beach. This southernmost point of Treasure Island has a public access lot for cars and is known for its relaxed, quiet atmosphere. This collection of islands leading to Ft. De Soto Park has several road-side areas that are popular for fishing and windsurfing. The area also has several marinas for boat rentals or charters. One of the widest beaches in the area and features several sporting activities including an annual kite-flying contest and the Taste of Treasure Island food and music festival. Beach access is available at lots at six parking areas along Gulf Boulevard including Treasure Island Beach Access Park at 10400 Gulf Boulevard with 67 metered parking spaces, restroom facilities, a water fountain and beach showers. Three public boat ramps and a marina are available. Treasure Island is directly west of St. Petersburg and can be accessed by the Treasure Island Causeway off Central Avenue. Upham Beach is quite popular, but you won't find much sand there. Public parking and beach access are located along Beach Plaza from 68th Ave to 70th Ave. Restrooms available. Info at 727-367-2735.